Dual- motor riser and relax armchair. These models have the possibility to adjust the backrest independently, by means of a low-voltage hand control. 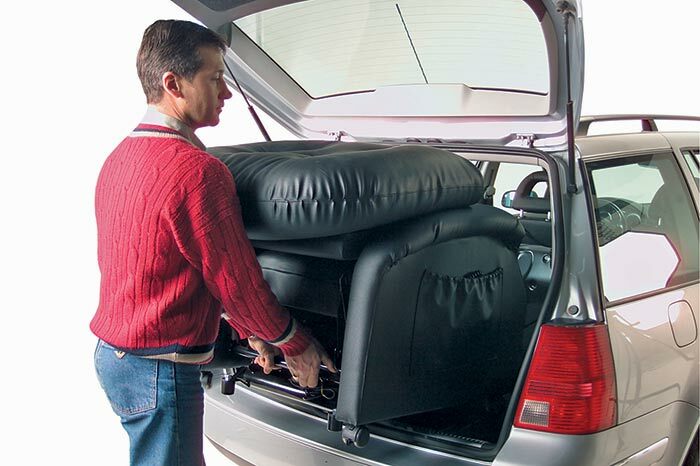 Four-motor riser and relax armchairs. Complete independent movements for backrest, footrest and seat angle as to the floor. Relax armchairs,with solid beech wood frame. Are manually adjustable by exerting a light pressure on the armrests. Rise and recliner relax chair; armchairs with independent reclining backrest and leg rest to take several positions. The lifting and relax chairs are designed to facilitate the transfer of the person and to support the physiological lumbar lordosis, dorsal kyphosis and cervical lordosis. Chinesport relax riser armchairs, with two or more motors make it easier to get up and sitting down for those who are impaiered in movement. Considering this important feature, as an aid, patients can get advantage of a reduced VAT percentage all along the Italian territory, when a Local Health Care System specialist issues a prescription, and when presenting an invalid certificate issued by an Official Government Institution. Electrically with two engines - Adjust the backrest and leg rest independently and tilt in elevation the seat to allow to move into an upright position with the least possible effort. Electrically with four engines - For full independence of movement, with the ability to change the height and angle of the seat to the floor. Manually - Adjustable with a slight push on the armrests. Sturdiness is guaranteed by the use of high quality mechanisms and motoring, properly tested and standardized. With poplar or beech frames and plywood, while the armrests are made of particle boards. All screws have thread-locking compound to prevent unscrewing of the parts while moving. Electric safety - is guaranteed by the use of motors with a 28V power adapter in accordance with the EU Directive 89/366. The adapter is placed outside the armchair and this reduces the exposure to electromagnetic fields. Last, some armchairs are certified as medical devices too. Maximun safety load - may vary according to the different models from a minimum of 110 kg to a maximum of 300 kg, with the Extra Large version cod.01889. The padding - is made of high density foam rubber which prevents the change of shape over time. The thickness of the seat and the backrest are different enabling a measured support for the whole body. The cover - is made of artificial leather or microfiber. All covers are heavy-wear resistant and the upholstery finishings are high-quality. Casters for transferring - where provided, enable easy transferring of the armchair on any surface and are highly resistant to static and dynamic stress. Removable armrest - facilitate the user's transferring operations (for JULY cod.02090 and JULY R cod.02089 armchairs). Personalization - is possible with several accessories. Furthermore, some changes to the measure of the structure, to the thickness of the padding, and the upholstery accessories can be applied providing they are feasible. All the armchairs have a width < 80 cm to facilitate the passage through the entrances and facilitate internal transfers (with the exception of ANDREA cod. 01234). The backrest of some armchairs can be removed (LUCY cod.02047 e JULY cod.02090) so they can be transferred easily. Height of the seat - it allows the elderly to use less energy while getting up, as well as to keep a straight angle for the lower limbs. Depth of the seat - it avoids the person from sliding forward. Height of the backrest - it provides a good support at the upper and lower back regions as well as at cervical area while resting. Height of the armrests - it decreases the preassure on the lower-back spine discs and to losen the shoulders. Tilt while lifting - it allows to adopt an upright position with the least effor preventing sliding due to eccessive tilt or too much flexion and spinal cord level. Position of the legrest in relation to the hip - when the legrest is completely raised, the legs are higher than the hip and this creates a lesser pressure on the discs and an easier blood flow. Sample size SALLY 4EL-BASCULA cod.01835 armchair. 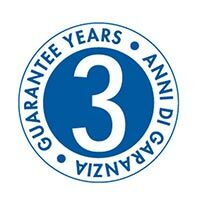 The guarantee of Chinesport armchairs is 3 years. International Edition, printed in October 2016; Pages 503 - 520; English.